Love Where You Live!! Check out this updated downtown Golden home with great views of both "M" mountain and the iconic castle rock from your 300 Sq.Ft. southwest facing terrace! New upgrades in 2016 include real oak hardwood flooring (gray/brown stain) and fresh paint throughout, new high efficiency furnace, new full size washer/dryer, new Hunter Douglas Vertiglide shades on all three slider doors plus a full suite of high end Kitchen Aid appliances all included! 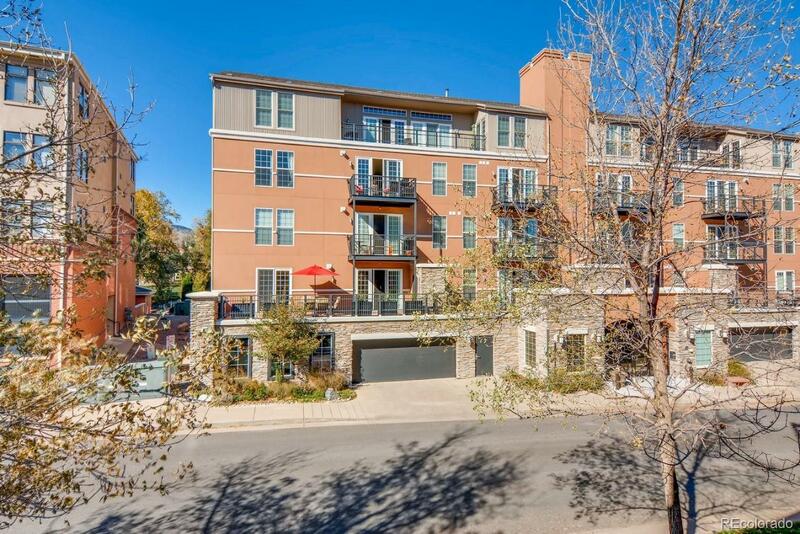 Only a few steps out the side door to the Clear Creek Trail, parks and all that Golden has to offer! Several new exciting market style restaurants coming on-line soon. These units with the large terrace rarely come on the market and offer lots of added outdoor living space for entertaining! Why settle for a small deck you can hardly use? The HOA is well funded and well run. Note that Millstone is a Smoke and Vape Free property! Come check it out, you'll love it!